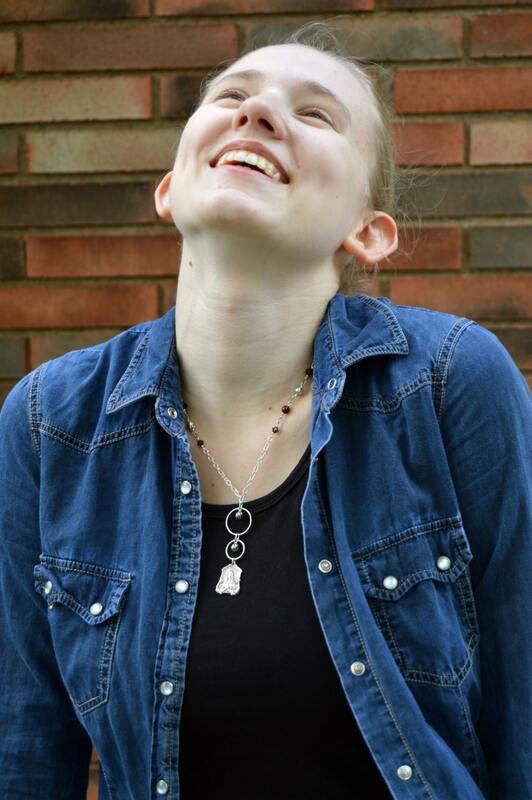 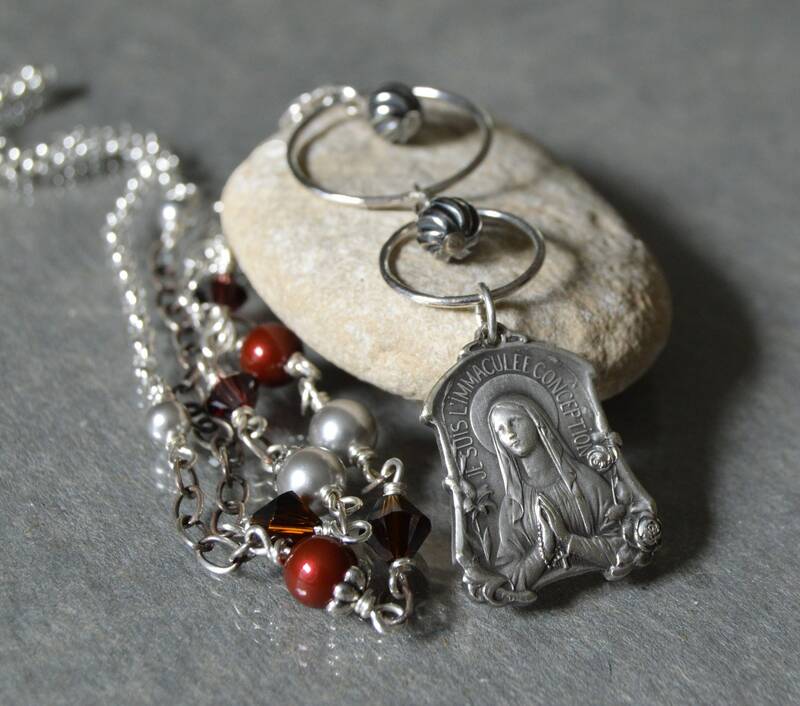 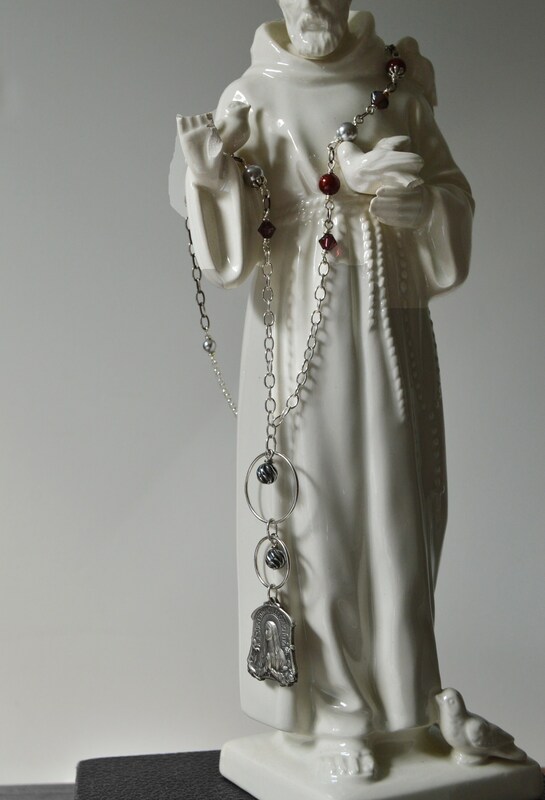 Catholic Jewelry in a Virgin Mary pendant necklace both elegant and rich in color with contrasting shades of silver blending both contemporary and sacred design. 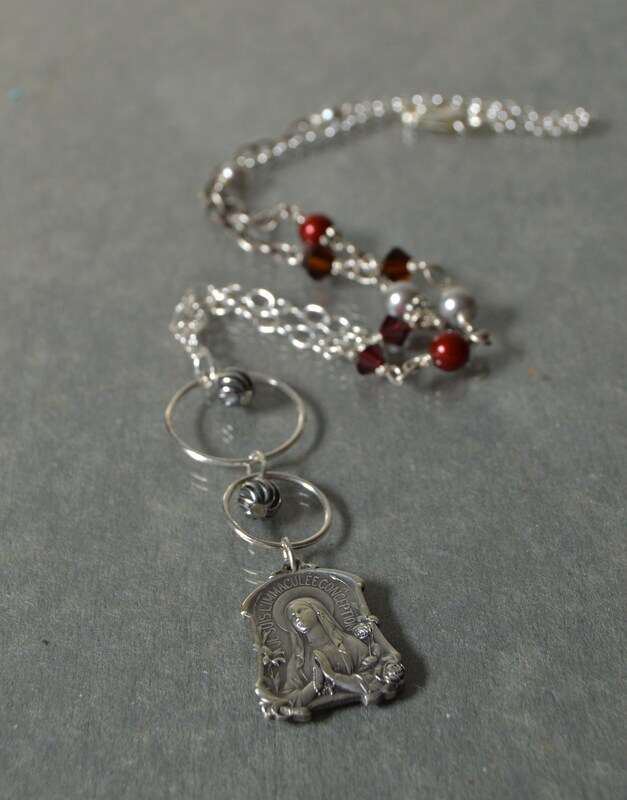 A vintage Art Nouveau Our Lady of Lourdes medal makes a dramatic entrance framed by two sterling silver rings and antiqued sterling silver swirl beads. 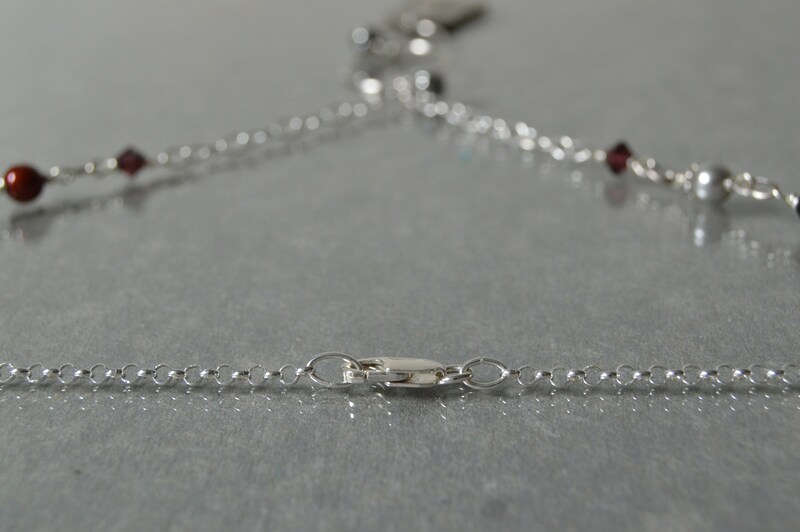 The bright and dark shades of silver in the medal are weaved throughout the design with a variety of chains: bright silver filled cable, antiqued silver filled cable and bright small rolo chain closing with a sterling silver lobster clasp. 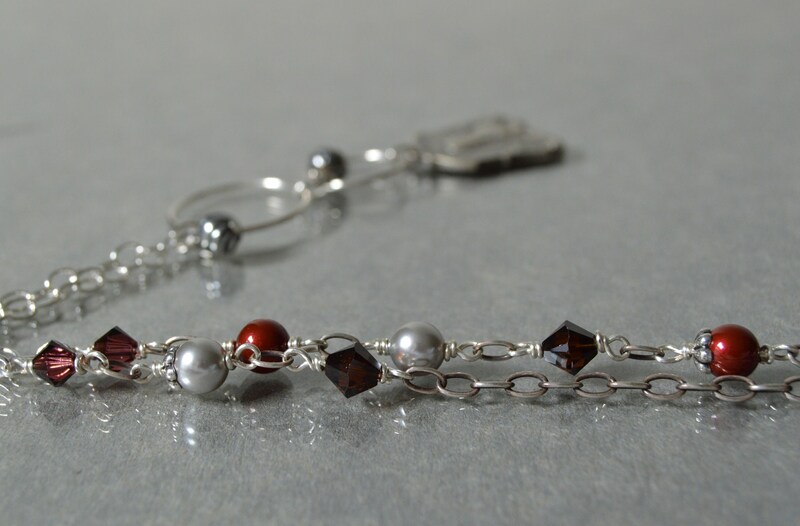 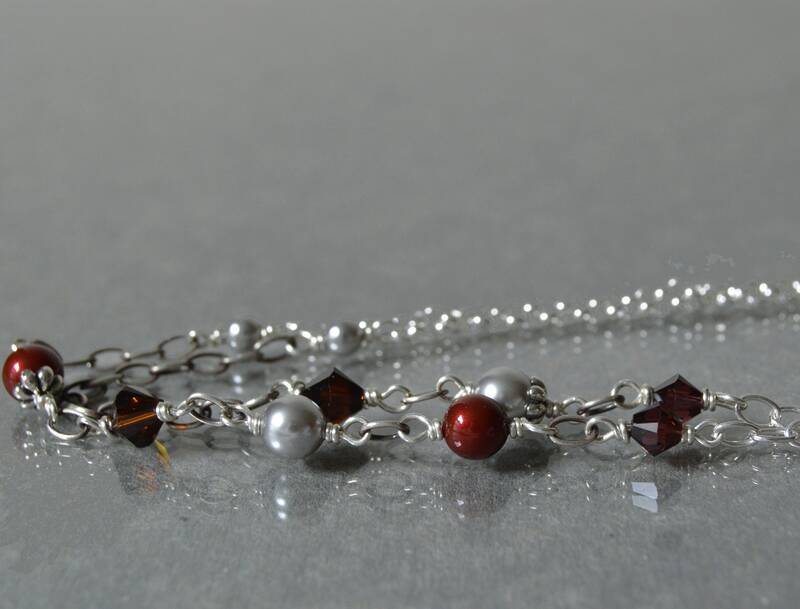 The beads are wire wrapped with sterling silver: Swarovski Crystal Bordeaux pearls, Swarovski Crystal Burgundy and Smoked Topaz, and Swarovski Crystal Grey Pearls. 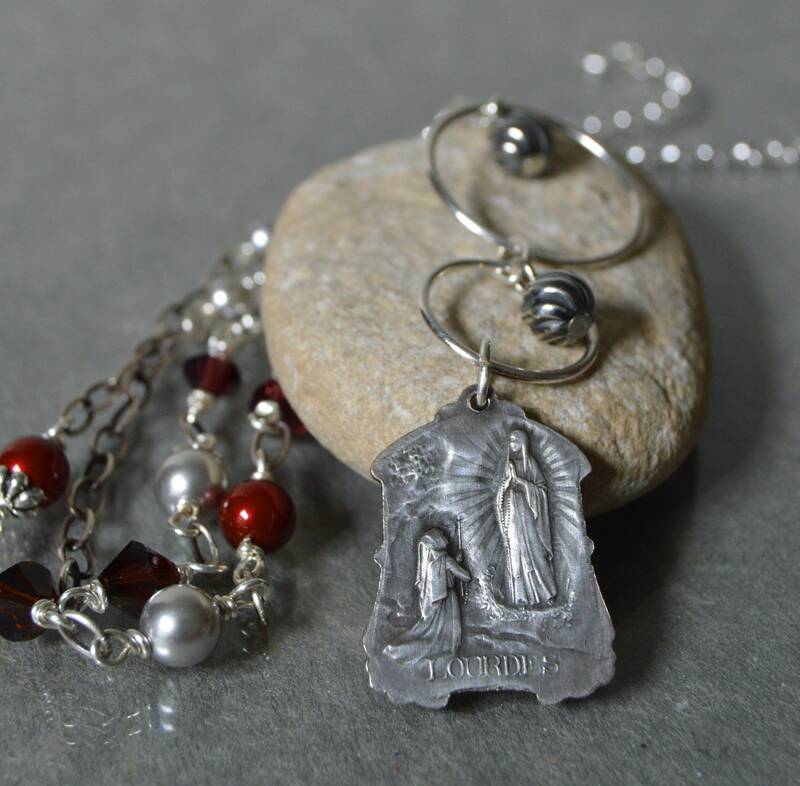 Two Tierracast Antiqued Silver Plated Petal Bead Caps add a special touch.